This Easter weekend, New Yorkers marched against racist police practices and calls to add 1,000 new officers to the New York Police Department. 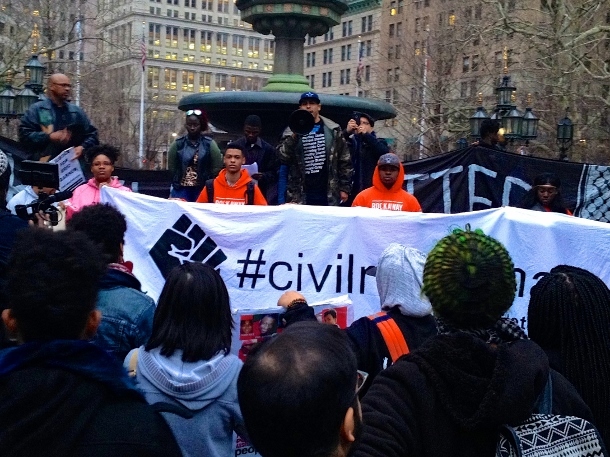 New Yorkers wasted no time hitting the streets this Easter weekend with multiple protests against racist policing and calls by politicians for new cops. 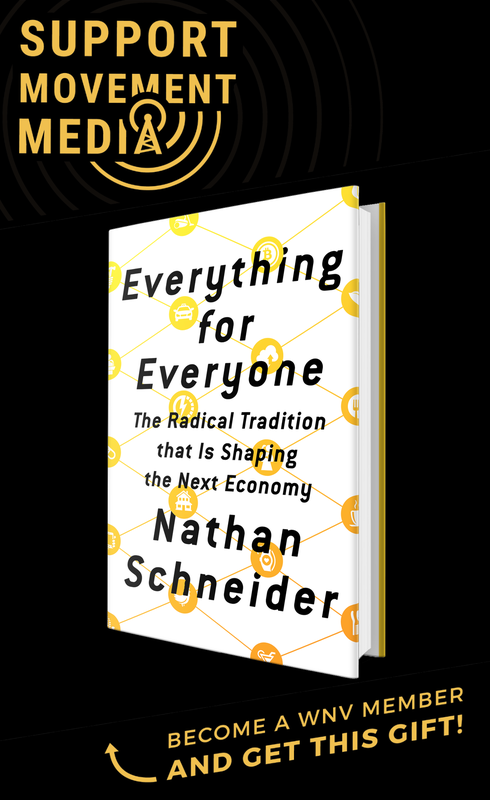 Though protests against systemic racism and police brutality continued in New York City through the winter months, most actions consisted of disruptions of business-as-usual by smaller groups of activists. This past Easter weekend, New Yorkers welcomed the spring by marching against racist police practices and calls to add 1,000 new officers to the New York Police Department. In keeping with the celebration of Easter this weekend, one set of actions was part of a campaign by religious activists called #ReclaimHolyWeek. The activists sought to illustrate the similarities between the murder of Jesus by the state and people of color killed by the police in the United States. Daniel Aguilar, one of the organizers of #ReclaimHolyWeek and a student at Union Theological Seminary, drew the comparison by stating that Jesus was a dark-skinned, unarmed, nonviolent man who was wrongfully convicted by the state. Friday also saw protests outside of the Jacob K. Javits Federal Building in downtown Manhattan. 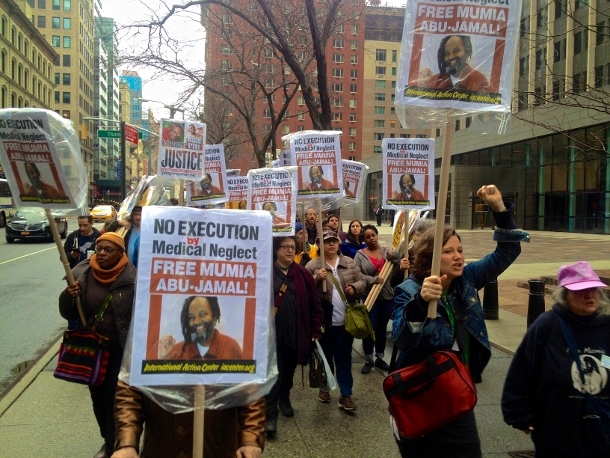 Activists there were protesting the poor medical treatment of former Black Panther and political prisoner Mumia Abu-Jamal, who was convicted in 1982 for killing a Philadelphia police officer. Abu-Jamal fainted due to diabetic shock on March 30 and was taken to Schuylkill Hospital in Pottsville, Pa. Shortly after, he was returned back to the prison infirmary. Activists allege that Abu-Jamal’s diabetes had been mistreated for months by the Pennsylvania Department of Corrections and that he was essentially being tortured through medical neglect. On Friday, outside of the federal building, a group of protesters rallied and chanted for Abu-Jamal to be freed. 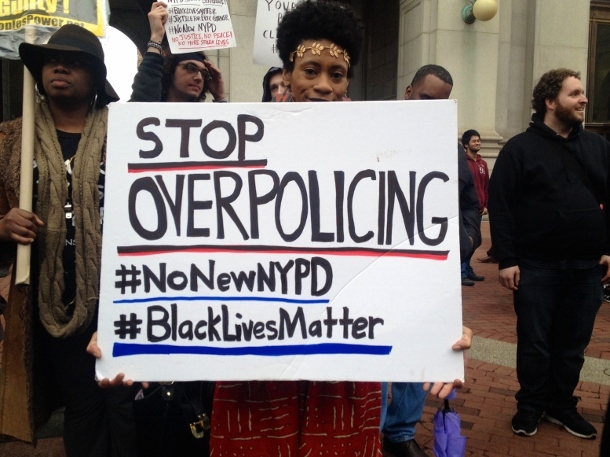 The highlight of the weekend’s protests was the #NoNewNYPD march on Friday. Both #ReclaimHolyWeek and the Mumia Abu-Jamal protesters marched from their respective actions to 1 Police Plaza early Friday evening to join over 20 other organizations in opposing the proposed increase in the NYPD’s headcount. For months, the City Council — particularly progressive politicians like Speaker Melissa Mark-Viverito and Councilmembers Jumaane Williams and Vanessa Gibson — have called for expanding the NYPD’s ranks. Recently on March 12, #NoNewNYPD protesters disrupted NYPD Commissioner Bill Bratton with chants of “No new cops!” as he testified at City Hall. Speakers at the rally at 1 Police Plaza all emphasized that the money spent on extra police — estimated by the City Council to cost $94 million — could be better spent on education, school sports, mental health and other social services. Hundreds of #NoNewNYPD protesters then marched to City Hall and throughout lower Manhattan, shutting down multiple busy intersections along the way. A huge “Black Lives Matter” banner led the march along with a large wooden cross bearing the name of Eric Garner.